Some of the best ringed-neck pheasant hunting in the world is found in Kansas. The birds are plentiful and the hunting limit is the highest in the country. This year it’s even higher than in previous years! We have a Kansas Pheasant Hunt planned for Traveler Plus members1 and their guests in December 2019 at Scattered Acres Outfitting. 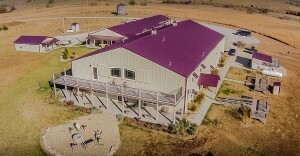 This is a family-owned lodge specializing in native hunts and controlled shooting areas for pheasant and quail located in North Central Kansas. It is three hours northwest of Kansas City and two and a half hours north of Wichita. 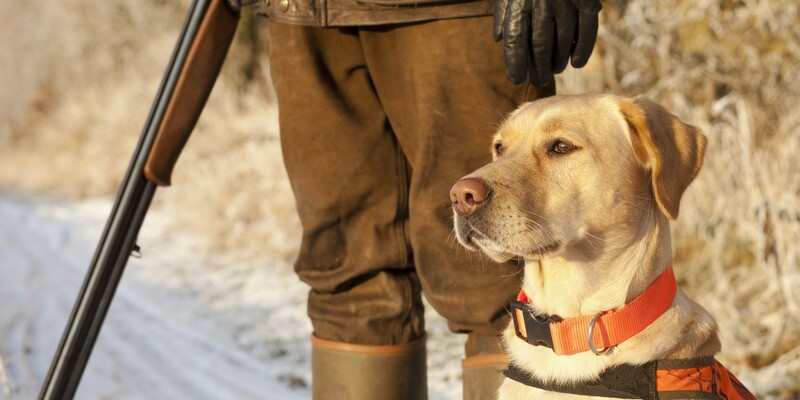 Have your choice of a two- or three-night lodge stay, two or three days of guided hunting and high-quality pointing and flushing dogs. You can even bring your own dog to enjoy the hunt with you! Get more details about our 2019 Kansas Pheasant Hunt from representatives of Outdoor Connection and Scattered Acres Outfitting. They tell you what to expect on this trip and answer owners’ questions. †The Traveler Plus rate applies to up to three guests traveling with an owner, too! Only 17 spots available on this hunt. Kansas hunting license required and not included in the package. Guns are not included but can be rented for an additional fee. Bluegreen’s group spots not reserved by owners at least three months ahead of the trip will be released to the lodge to offer to the public. 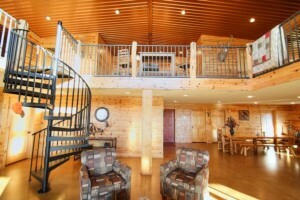 Non-owners may be at the lodge and in the hunting groups on Bluegreen’s trip dates. A 50% deposit is due at the time of booking. Deposit is nonrefundable but is transferable to another Outdoor Sportsman trip in 2019 or 2020 if cancelled within 30 days of when original deposit was made. Nonrefundable final payment is due November 1, 2019. Call 855.645.2215 to Book Your Pheasant Hunt in Kansas Today! Only Bluegreen Vacations owners who are Traveler Plus members with a Bluegreen Vacation Ownership purchase or upgrade date of July 1, 2011, and beyond are eligible for this benefit. Prices include 2 or 3 nights’ accommodations; meals; non-alcoholic beverages; 2 or 3 days of hunting; shells; guide service; bird cleaning and packaging; and applicable taxes. Bluegreen Traveler Plus rate is inclusive of 10% membership discount. Prices are subject to change without notice; subject to availability. 50% deposit due at time of booking. Deposit is nonrefundable but is transferable to another Outdoor Sportsman trip in 2019 or 2020 if cancelled within 30 days of when original deposit was made. Final payment due November 1, 2018. Prices do not include airfare; transportation to/from Scattered Acres Outfitters in Palmer, Kansas; Kansas hunting license; guns; shipping of birds to home; gratuities, alcoholic beverages; and items of a personal nature. Guns are available for rent at an additional fee. Bluegreen’s group spots not reserved at least three months ahead of the trip will be released to the lodge or resort to offer to the public. Non-owners may be at the lodge or resort and in the fishing or hunting groups on Bluegreen’s trip dates. *Outdoor Sportsman adventures are offered through independent third parties (“ITP’s”), including Outdoor Connection, Inc (“OC”) who are independently owned and are not affiliated with Bluegreen Vacations. Eligible Bluegreen Vacations Owners have access to specially negotiated Outdoor Sportsman hunting and fishing itineraries. Itineraries offered by ITP’s are based upon availability. Maximum discount is $500 off retail rates per applicable itinerary, per person, for up to 4 people. Discount subject to change without notice. (Note: It takes approximately 30 to 45 days for your resort ownership account to be entered into Bluegreen Vacations’ system before you may reserve an Outdoor Sportsman itinerary.) All itineraries specified in this article are offered by OC; however, certain services, accommodations and amenities are provided by other, independently owned providers. Photographs are representative of participating itinerary properties, locations and activities. Actual properties, locations and activities may vary. A nonrefundable deposit must be paid by credit card at the time of booking. Deposit amounts, reservation deadlines, and package inclusions vary by itinerary and can be found on your Trip Proposal which will be provided via email at the time of booking. Reservations made within 45 days of departure require nonrefundable payment in full at time of booking. A signed waiver must be completed by all travel parties. Go to bluegreenowner.com for waiver. Check-in and check-out times vary by itinerary. Cancellation policies vary by itinerary; see your trip proposal for details. Itineraries begin upon arrival in the destination city. Itineraries can be found in the Traveler Plus section on bluegreenvacations.com. Itineraries and prices are subject to change without notice. Except where expressly stated, prices do not include airfare, transportation, meals, ammunition, equipment or incidentals. Outdoor Connection acts only as an agent for the various transportation companies, lodges, sport fishing contractors, guides, hunting outfitters and other principals providing goods and services comprising the packages. Outdoor Connection assumes no responsibility for any act, error, omission, injury, loss, accident, delay or irregularity which may be occasioned by any reason or any defect in any vehicle or through the neglect or default of any company or person engaged in conveying the passengers. The cost of accommodations and associated services caused by weather, flight schedules, or other factors beyond our control are the responsibility of the customer. Outdoor Connection makes no guarantee of success, quality or quantity of any game or fish that may result from any activity.